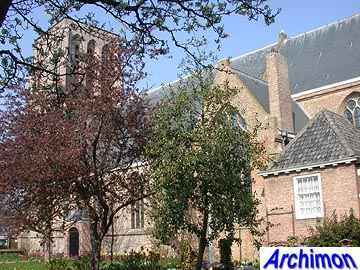 Dom and Domkerk are names normally given to cathedrals. 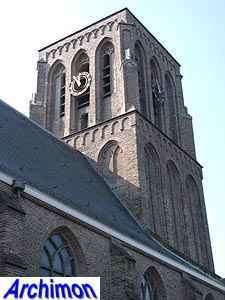 However, in some regions in the west of The Netherlands Dom means something like "spire-less tower". 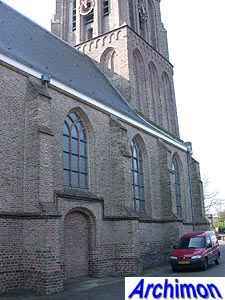 The history of the church of De Lier goes back to the 13th century. 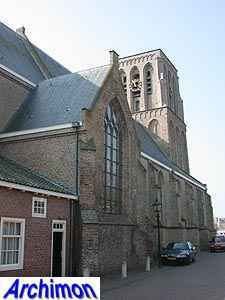 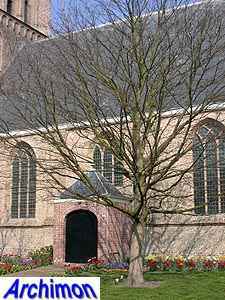 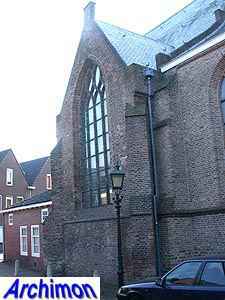 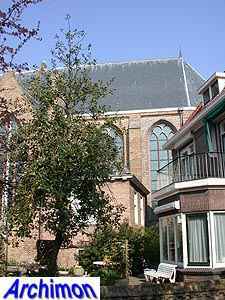 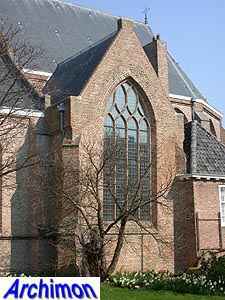 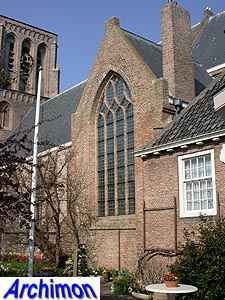 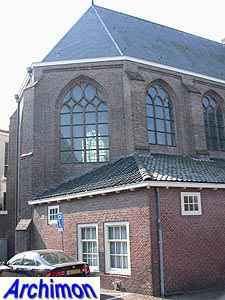 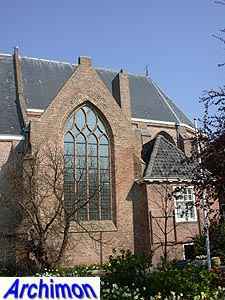 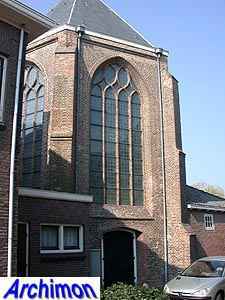 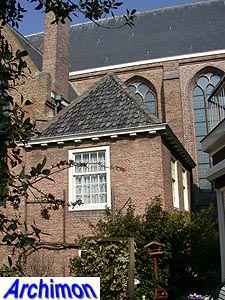 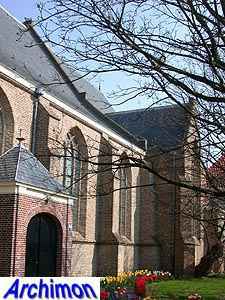 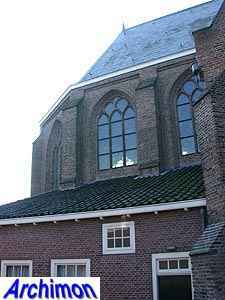 In 1245 the church was probably called St. Joris and was much smaller than the current building. 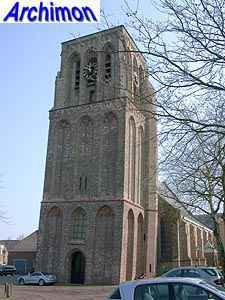 In its current form the church dates from the mid-15th century. 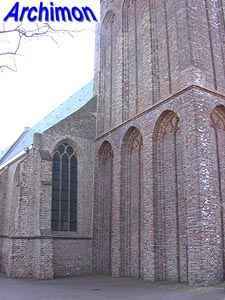 It has a three-aisled nave and a long polygonal choir which is flanked by transept-like chapels. 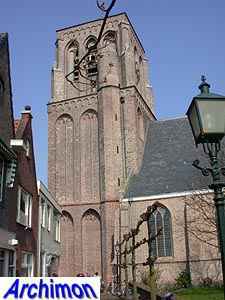 The building of the tower at the front was plagued by problems, resulting in sagging and leaning. 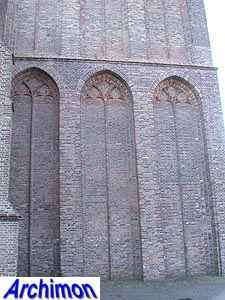 The way the niches in the lower segment seem to "grow" out of the ground indicate that the tower actually sank in the soil. 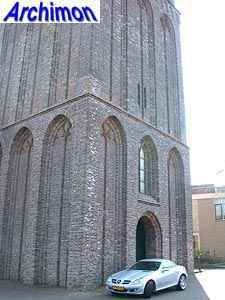 The first two segments of the tower lean towards the south, but the third segment was built straight on top of the second. 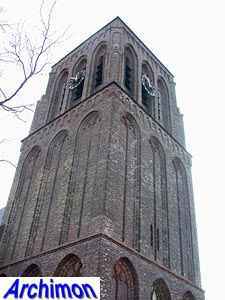 On top an onion-spire was built, but it was lost when the church was destroyed by fire in 1572. 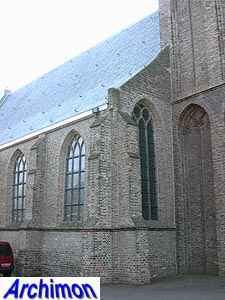 After the fire the church was rebuilt. 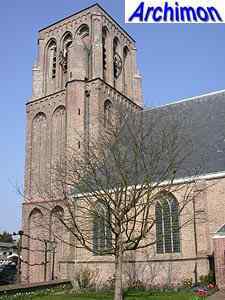 The choir was finished in 1590, the tower in 1630 and the nave in 1658.